Stop by to hear about our spectacular SPECIALS! 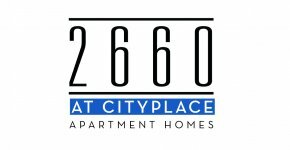 Situated in the heart of uptown Dallas and steps away from the DART mass transit system, 2660 at Cityplace (formerly Cityville Cityplace) is the ultimate destination for an active lifestyle in apartment home living. From the moment you walk through the front door you'll feel the comfort that makes our residents happy to call us home. Cutting edge amenities, meticulously-groomed grounds, and a dedicated staff contributes to a higher standard of living. With convenient access to West Village as well as the Dallas Arts District, your social life is made easy. In addition, residents can enjoy the outdoors and stay active at Klyde Warren Park and Katy Trail.